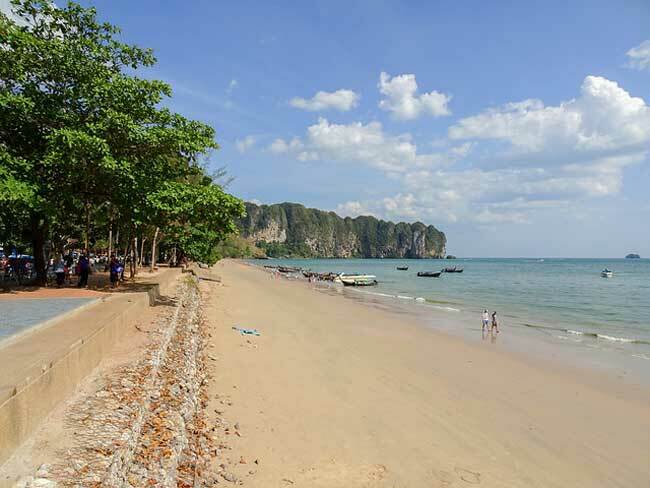 Thailand continues to be one of the most popular destinations for retirees in Southeast Asia. 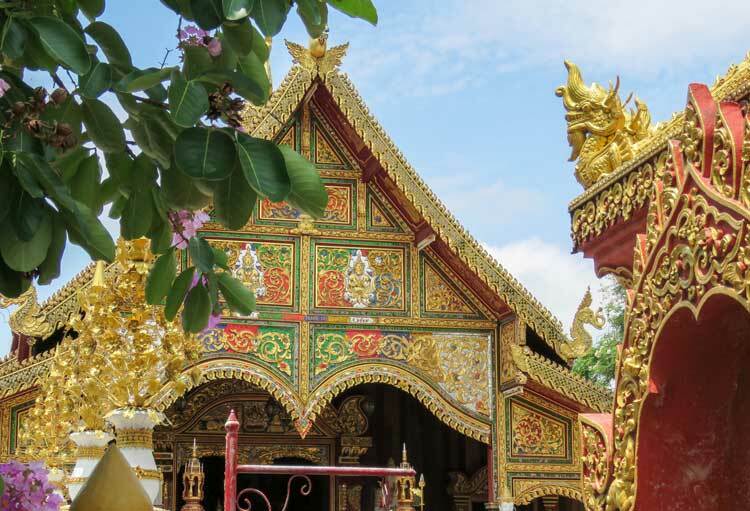 Whether you are living in the steamy, urban capital of Bangkok, the northern Lanna city of Chiang Mai, or near one of the many spectacular beaches that have made the country famous, Thailand has much to offer everyone. With year-round tropical weather, a low cost of living, high quality healthcare at an affordable price and a wide variety of available properties to choose from, it’s easy to be tempted by ‘the Land of Smiles’. Numerous airlines provide daily flights to many cities in Australia, as well as to most other popular worldwide destinations. With its central location in Southeast Asia, Thailand is an ideal base for exploring other nearby countries. You’ll find expats all over the country. They are fairly spread out from one end of Thailand to the other. Many head north to the city of Chiang Mai where the nights are cooler for most of the year. While the rest of the country is still basking in the heat during the winter months, temperatures in this part of the country can dip to 15 C or less in the evenings. Here expats enjoy a wide variety of restaurants, art galleries, traditional crafts and numerous outdoor markets. It is easy to stock up on locally grown coffee, produce and more…and all at bargain basement prices. Bangkok attracts those who prefer the chaos and excitement of a large urban metropolis. The city is well known for its vibrant street life, cultural landmarks, happening nightlife and fabulous array of dining choices. Although more expensive than other locations in Southeast Asia, it is still possible to find property to suit a variety of budgets. Famous coastal resort areas such as Phuket and Pattaya continue to draw large numbers of expats who are looking for that dream retirement on the beach. Although many of these areas are now over commercialised, it is still possible to find the more traditional Thailand of years past by moving a few kilometres away from the more popular tourist spots. The Thai beachside resort of Hua Hin is a two-and-a-half-hour drive south of Bangkok and still fairly laidback compared to its more commercialised counterparts. It offers good-value beach living—a couple can live well here on $2,500 a month. The Thai Royal family have a palace in Hua Hin and the town is a tourist hotspot. There’s bustling markets, shops, restaurants, bars, outdoor sports and activities, entertainment and good infrastructure—including three international hospitals. Koh Samui, a lush, tropical island off Thailand’s east coast, naturally blessed with a dazzling array of gorgeous beaches, makes a great destination for anyone looking for a dream seaside retirement destination. As well as serious sunshine and all the amenities you could want, there’s also accommodation to suit every budget, including comfortable homes for under $400 a month—so long as you know where to look. Move away from the tourist hub of Chaweng and instead take a look at Bophut, Maenam and Nathon. Bophut is one of the island’s most popular expat areas. 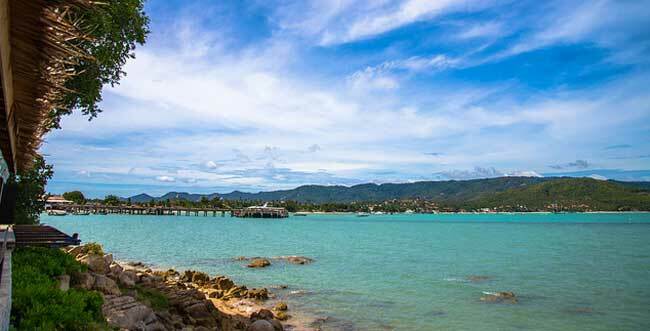 Life in this northeastern town moves at a slow pace, but it’s just minutes from Samui International Airport—and the area is home to stores selling imported foods and both public and private hospitals offering excellent and affordable medical care. One-bedroom homes in the seaside village of Maenam can be found for $575, or you can rent a small, furnished room for $300 a month just minutes from the quiet beach. 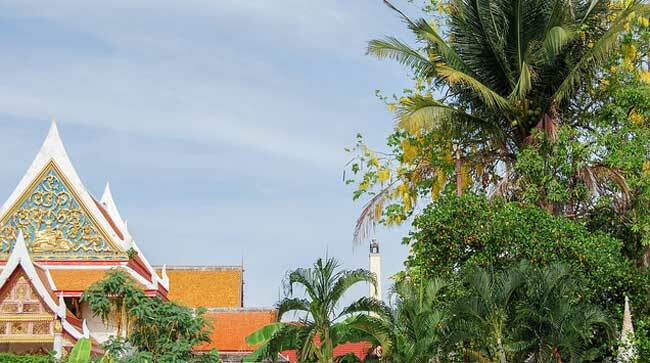 Historic Nathon Town is ideal if you’re after an authentic Thai experience. This quaint town is a delightful mix of new and old. Long-standing Chinese shop houses selling an eclectic range of goods have been joined by Irish pubs, souvenir shops, modern grocery stores and international restaurants. Krabi, on the southern part of Thailand’s west coast, across from the island of Phuket, is home to several national parks and it’s not hard to understand why…the natural beauty that surrounds you here is breathtaking. Lush tropical rainforests, mangroves, golden sand beaches and limestone karsts jutting out of the shimmering blue-green waters are sights that stay with you. There’s plenty to keep adrenaline junkies busy here, rock climbing on the karsts, scuba-diving, snorkelling and canyoning… For more laidback adventures, a visit to the temples and hot springs is the perfect way to wind down. When the sun sets there’s still fun to be had. Check out the local night markets where you can get fresh whole grilled fish, prawns or Thai BBQ chicken for a few dollars. Wherever you choose to stay in Thailand you’re sure to hear, “mai ben rai”, a popular expression among the locals. It means “no worries” and it does not take long for newcomers to buy into this daily outlook on life. Low-key and uncrowded, fronted by a five-kilometre beach, Hua Hin, the Thai beach town my wife Vivien and I call home is also surrounded by three of the country’s biggest national parks. Its central location on the gulf coast means easy access to plenty of out-of-town beaches, too.